The top-performing streamer ranked 63rd. 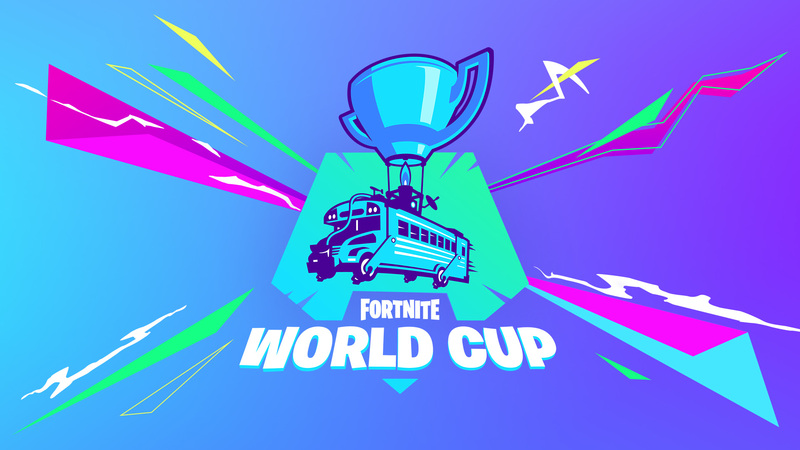 The first week of the Fortnite World Cup Open Qualifiers has ended. This was the first Solo competition and only 19 players around the world have secured a spot in the World Cup Finals in July. Several famous Fortnite streamers tried to secure a spot in the tournament, but all of the top 10 most-watched streamers in the last 30 days failed to do so. From the top 10 Twitch Fortnite streamers, the one who had the best performance was Symfuhnny in the North America East qualifier. He scored 46 points and ranked 63rd overall, quite far from the top six he needed to reach to get a spot in the World Cup. His average placement was 37th and he got about two eliminations per match. He was 14 points shy of getting into top six. FaZe Clan’s Turner “Tfue” Tenney failed to reach top 100 in North America East, but he was still the second-best among his fellow streamers by placing 137th with 40 points. 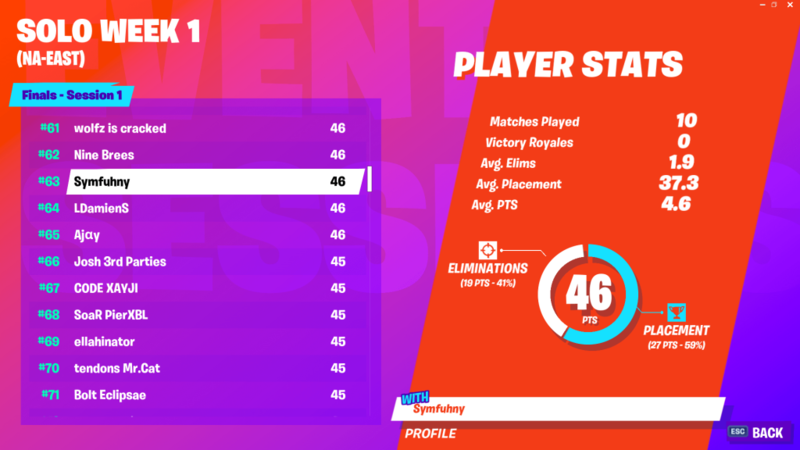 Tyler “Ninja” Blevins scored 37 points and came in 218th, Team Liquid’s Ryan “Chap” Chaplo scored 36 for a 265th placement, and SypherPK scored 32 for the 430th spot. NICKMERCS was the only top streamer playing in North America West, and he also came far from the qualification zone by reaching 326th. If we included the top 20 most-watched Fortnite streamers, FaZe’s Dennis “Cloak” Lepore would take the lead. He scored 52 points in NA East to place 32nd in that server. Other big streamers like Benjamin “DrLupo” Lupo, Dakotaz, and Tim “TimTheTatman” Betar skipped the qualifiers. The placement of all these streamers shows that there are other big players reaching the high ranks who’ve adapted to the World Cup faster or better than them. Other professional Fortnite players from 100 Thieves, Team Liquid, and TSM who are smaller streamers have qualified, like Liquid’s Vivid. All of the week one contenders will have four more shots at getting a spot at the Solo Finals and five chances for the Duo Finals. Next weekend’s Open Qualifiers will be the first one with duos, so fans can expect these streamers to partner up with other top players and fight for a World Cup Finals spot once again.